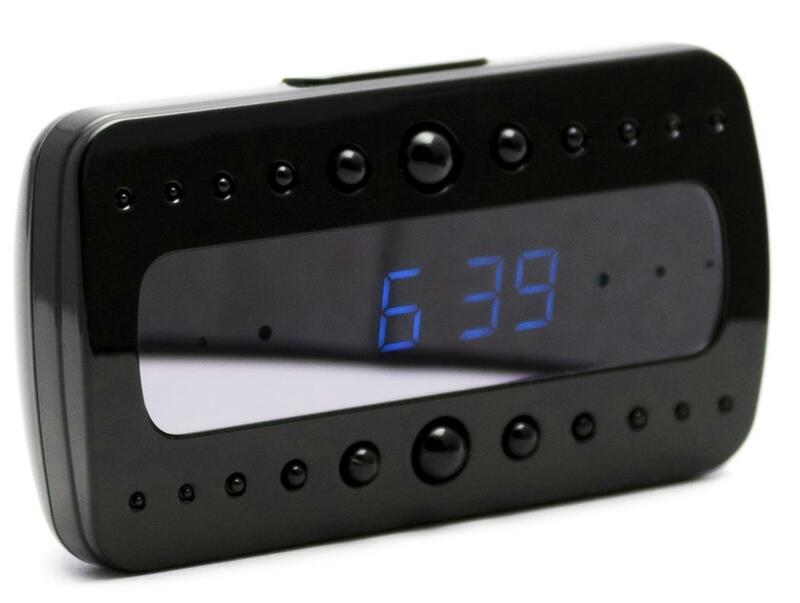 This mini WiFi clock makes a great covert camera or baby monitor and allows you to remotely view the video on your iOS, or Android device or computer. Email alerts with snapshot can be sent to your mobile device when motion occurs, then just connect remotely to see live video. The HD 720p resolution provides extremely clear video for easy identification. Records audio and video through motion detection onto a microSD card up to 32GB (not included). 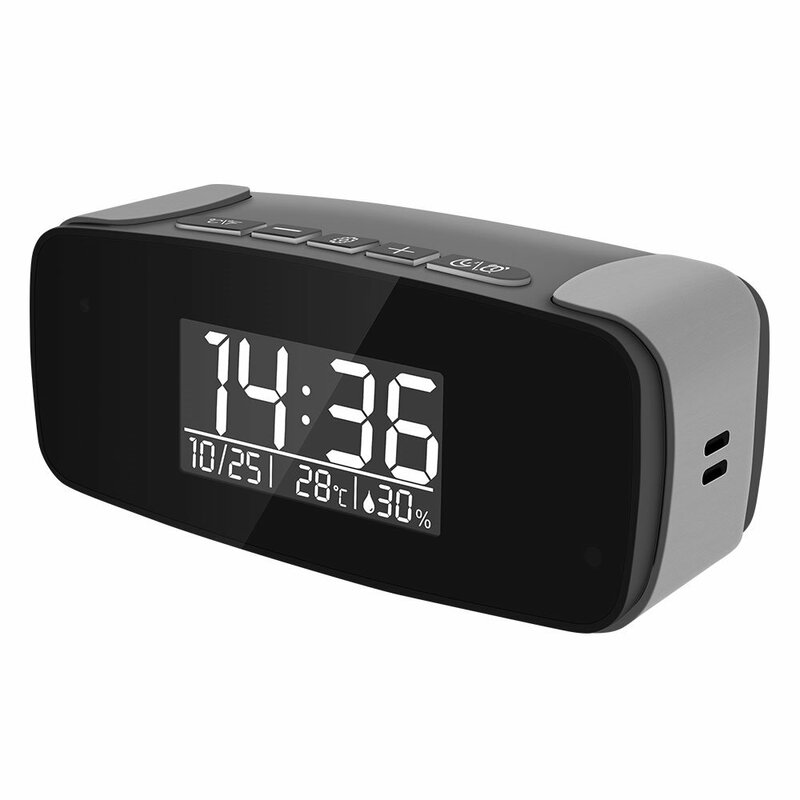 The mini clock can also connect directly with your smartphone without a network connection through the WiFi hotspot function. 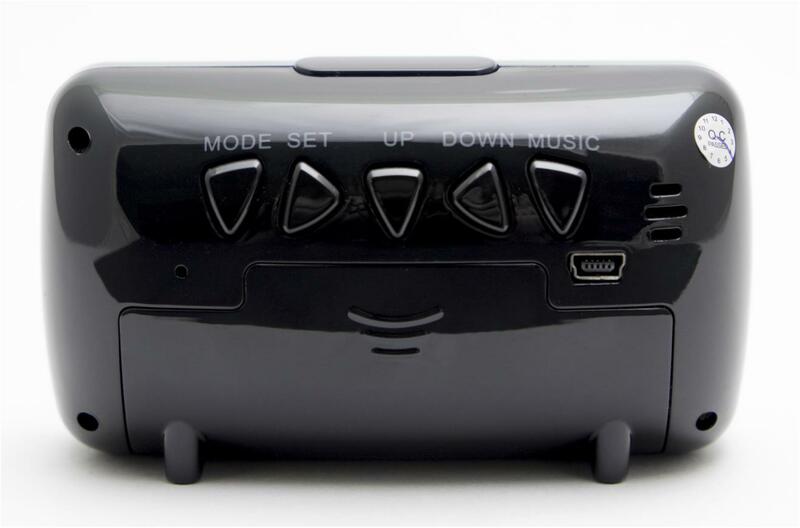 The device comes with an internal rechargeable battery and USB power adapter for 24/7 continuous operation so there is no worrying about the battery running out. *Note: Whenever inserting a microSD card it will be automatically formatted so please be sure to save any wanted files before inserting the card.